When you have a deep passion for something, you usually find yourself excelling tremendously in that particular thing. This can be seen most prominently in the field of sports and in Japan, the sport of baseball would be a great place to start when talking about such passion and improvement for a certain thing. Japan loves the game of baseball and it can be seen with the quality and number of home-grown stars they have shocked and awed the international baseball world with the skills and talent that they possessed. Throughout the recent decades, there have been numerous players that easily contribute to this claim and one of those great players is a man named Daisuke Matsuzaka. He was born on September 13, 1980, in Aomori of the Aomori Prefecture and it was as if his parents knew that he was going to be big in the baseball world. This is so because his given name, “Daisuke”, was given to him specifically because he was named after a Japanese Highschool star pitcher named Daisuke Araki. Despite the fact that he was born in Aomori, he eventually moved to Tokyo and grew up in a town called Koto. It would be here that he started his long and successful career in the sport of baseball. Baseball wasn’t his first physical activity because he was known to have started learning the art of kendo when he reached the age of nine. It was only in his 3rd grade that he started to play organized baseball and there was no looking back after that. He fell in love with the game and it led him to spend a lot of his youth just drowning in everything baseball. By the time that he reached the High School level, he was already known as a great player throughout the Little League and Junior High Level. He brought his talents to the Yokohama High School in the year of 1996 and this acquisition of Yokohama High School greatly increased the quality of their already powerful line up even further. Having been named after Daisuke Araki must have given him some sort of blessings because, within two years of playing for his Yokohama team, he had already honed his skills enough to be recognized as the team’s certified ace pitcher. This early success shows just how much raw talent he had to begin with but, just like all other roads to success, failure is inevitable. For Daisuke, this failure came during the semi-final game of the Kanagawa Prefecture preliminary round of the Summer Koshien. In this game, he choked and messed up a go-ahead wild pitch. Players that experience that type of failure can either motivate them or break them and in the case of Daisuke, he put his head down and got back to work to improve in any way he could. He showed what he was really made off and it quickly resulted in tremendous growth on his part, specifically during the offseason. He had put in enough work on his game to regularly average pitch speeds of nearly 140 km/h (kilometers per hour) or 87 mph (miles per hour) which were amazing stats considering his youth and the level he was playing at. With him this motivated, he easily carried his team to the championship of the Spring Koshien or National High School Baseball Invitational Tournament with his excellent pitching alone. He was a man on a mission and it showed all the more when he successfully carried his team to the championships of the 1998 Summer Koshien, which they would eventually win later on. Despite the championship which they brought home from the Summer Koshien, the feat that the scouts put more emphasis on was his amazing play on the way to the championships of the said tournament. This included him playing for two consecutive games wherein he pitched almost 400 throws in over 25 innings. Both games were victories for his teams and one of the said games was a shutout victory for them due to his skillful pitching. He achieved many things throughout his young career but the series of games that he greatly contributed to in the 1998 Summer Koshien were the most important ones because it was the run that opened up all kinds of possibilities for his future in the baseball world. His unforgettable streak made it easy for him to be drafted into the Nippon Professional Baseball League or the NPB. Daisuke was actually being fought over by many teams right after his time in high school. To mention some of the poachers, there were likes of the Colorado Rockies and the Arizona Diamondbacks of the NAML or North American Major Leagues. The interest that these foreign teams had for him said a lot about his popularity but the thought of playing abroad didn’t seem appealing to him at this point in his life so he decided to go with the NPB draft. Drafting a talent like Daisuke Matsuzaka is something that a lot of people follow already but when he opened stated that he wanted to play for the Yokohama BayStars, the issue’s popularity reached a whole other level. He even went as far as saying that he if would not end up with the BayStars, he would take an alternative route of working for a company to be able to join his desired team through the reverse-draft system called “Gyaku-Shimei”. They say that if there is a will, there is a way and what Osamu Higashio did represents this saying perfectly. Osamu was the manager of the Seibu Lions at the time and he did absolutely everything he could to court and persuade Daisuke to open his mind to the possibility of playing for the Lions instead. After a couple of extravagant meetings and with Higashio giving Daisuke his winning ball for his 200th career win, Matsuzaka was completely turned as he allowed himself to be drafted into the Seibu Lions as the first pick of the 1998 NPB draft. He played for the Lions from the year of 1999 until the year of 2006. Throughout his time here, he made sure that he was definitely one of the best baseball players out there as he won several awards and led his team to have the most wins in the league in his first three years. In his first year, he won the Rookie of the Year award as well as the Best Nine Award and the Gold Glove Award. In his second year, he won the Best Nine and Gold Glove award once again with the addition of leading the league in strikeouts for that particular season. He would maintain his level of performance for his 3rd year as he got the exact same awards that he won in his previous year. Due to injury, he would sadly end his great streak of excellent play in the year of 2002 because he hardly got to play. In the following year, however, he would remind everyone that he was still one of the best by winning the Gold Glove Award, leading the league in strikeouts, and leading the league in ERA or “Earned Run Average”. In the year of 2004, he once again earned the Gold Glove award as well as led the league in ERA. In 2005, in addition to the Gold Glove award, he also led the league again in strikeouts. In his last year with the Lions, he was still able to secure the Gold Glove award. Although his last year was the least impressive when considering all that he accomplished in the years before, it was still enough for foreign teams to extend their interest in him. 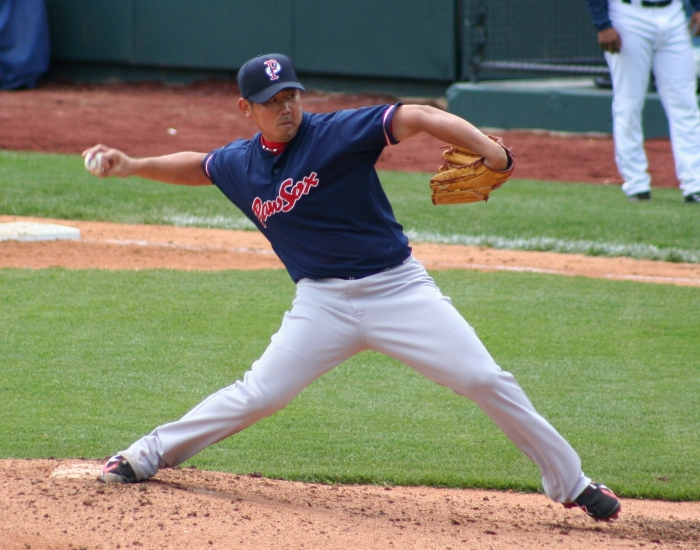 Through the posting system, in the year of 2006, the Seibu Lions officially permitted Matsuzaka to be eligible for the MLB or Major League Baseball. It became clear that he didn’t need a contract finder because within a couple of days after this announcement, teams like the Boston Red Sox, Texas Rangers, New York Mets, and New York Yankees were already expressing their intentions to obtain him for their teams. In the end, it would be the Boston Red Sox that would win the bidding rights to Daisuke as they outbid everyone else with a whopping offer that amounts to 51,111,111.11 USD. During his time in Japan, he was given the name “The Monster of the Heisei Era” or “Heisei no kaibutsu”. His time in the MLB would lead him to get his second baseball moniker “Dice-K” which is a play on his real name, Daisuke. He would spend the years of 2006 until 2012 giving the Boston Red Sox quality numbers before he agreed to play for the Cleveland Indians in the year of 2013. This stay with the Indians was only for a short period of time though because the New York Mets would, later on, offer him a deal that he could not and would not refuse. He played until the 2014 season for the Mets and then he decided to return to Japan to play there professionally. Until this day, he remains an active player for the Chunichi Dragons but upon his return to Japan, it was the Fukuoka Softbank Hawks that he played for. In between all the local leagues and foreign leagues that he played in, he also managed to have quite a notable International career. His first international tournament was the 2004 Olympics in Athens, Greece. Japan was unable to win it all but they did place third which is an amazing feat on its own already. In 2006, Daisuke would once again be part of a team that represented Japan in the World Baseball Classic and he didn’t disappoint as he won the MVP award of the World Baseball Classics after they defeated Team Cuba in the finals. 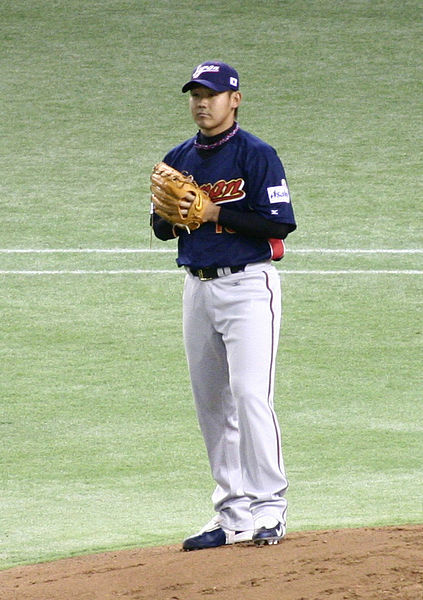 Daisuke would also contribute tremendously in the run that they made in the 2009 World Baseball Classic to defend their crown. 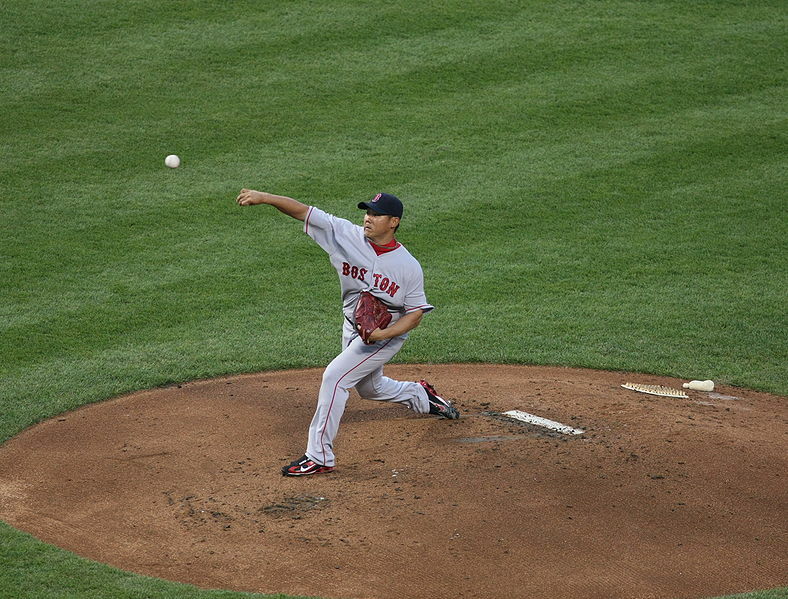 During this World Baseball Classic, Daisuke Matsuzaka earned his second MVP award for the World Baseball Classics as he put up stats like a 3 – 0 record accompanied by a 2.45 ERA. Considering all the details of his long and still active career, it is undeniable that his play frequently results in success for his team. Some players do this by being a “stat sheet filler” as some sports analyst may say but the way Daisuke Matsuzaka does it is quite unique. He doesn’t need to fill up other stats so much because of how he specializes in pitching, in particular. What adds to the amazement for his talent is the fact that he is a right-handed pitcher or an RHP. This adds a degree of difficulty for him because most pitchers are right-handed. With this being the case, the defenses of professional teams are taught to be more aware of the tendencies and weaknesses of being an RHP which limits the margin of error RHPs can make in a game. He is able to contribute greatly with his pitching despite this fact because of the wide array of throws that he can seamlessly pitch with ease. Every pitch in baseball has a proper counter so as a pitcher, you’ll really want to know multiple pitch types to throw your batter off guard. In Daisuke’s case, the pitches that fall under the list of throws he was able to use like the four-seam fastball that he used to be able to consistently throw at speeds of 97 mph. He is also popularly known for throws like a two-seam fastball, a cutter which reaches the high 80’s, a crafty slurve or a “sliding curve”, and a tricky changeup which is a fastball that has a delayed arrival at the plate. With these types of throws practically under his belt, he is surely seen as one of the best pitchers out there but, until this day, he continues to try to improve his craft by mastering even more skillful throws like a “Gyroball”. 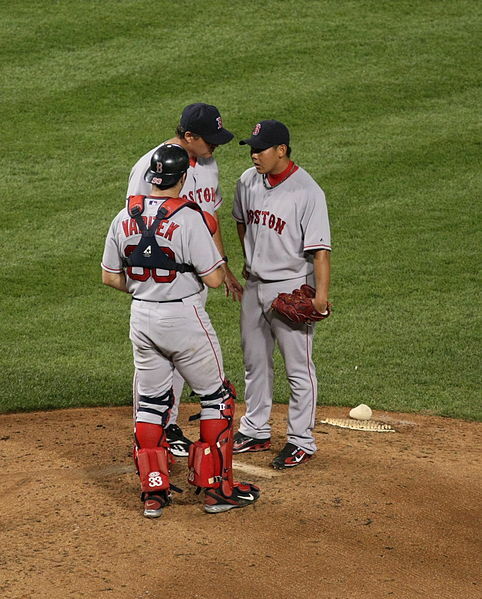 If you aren’t impressed with the details of Daisuke Matsuzaka found here, you can easily research the memorable games of his career and the stat lines that he put up. In every month that the season was on, regardless of whether it was in the month of May, April, June, July, or even September, you are sure to find at least one game that can be considered a testament to his talent and skill for the game. He can easily be considered a Japanese baseball legend taking into account all he has already accomplished in his career and since he is still an active player, he should be celebrated as much as possible because talents and stories like Daisuke Matsuzaka’s don’t happen as often as some may think. It takes a certain level of skill and dedication to your craft to reach what he has reached in his life and learning about it can really open your eyes and inspire you to follow his approach in achieving his dreams.